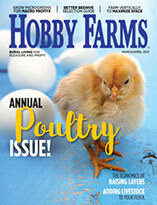 Are your chicks outgrowing their brooder? It may be time to introduce them to the outdoors. 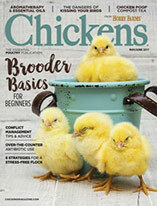 Sending chicks into the great outdoors isn’t always easy, especially when they make up a chicken keeper’s first flock. Even though the birds have no outdoor life experience, moving them outside is in everyone’s best interest. With your help, they’ll learn how to navigate yard life quickly and safely. Barely larger than the size of an egg, day-old chicks are as cute as buttons. Humans tend construct home brooders to fit the size of the chicks, not realizing that chicks compound in size from day to day, and especially from week to week. Often, chicks will need to go outside sooner rather than later, simply because they outgrow the brooder. Humans also tend to humanize their chickens, worrying for their welfare as if they’re putting human children out to roost in the chilly night. But once chicks are fully feathered, they can keep themselves warm through the night without any supplemental heat. Unless the baby chicks were able to brood in the coop, remember that they have no experience in the outside world. Even if they will be free-ranging chickens, the first place they should go is to their place of comfort and safety. Introduce chicks to the coop first. Once they’ve explored the coop together, introduce them to the run and where their feed and water will be. At dusk during those first and second days, many chicks won’t know where to put themselves to bed, so they’ll need a little help moving from the run to the coop. Once they catch on, they’ll be ready to learn something new, like how to forage during supervised free-ranging. With the addition of a new activity, they might need a reminder to return to the coop at dusk. 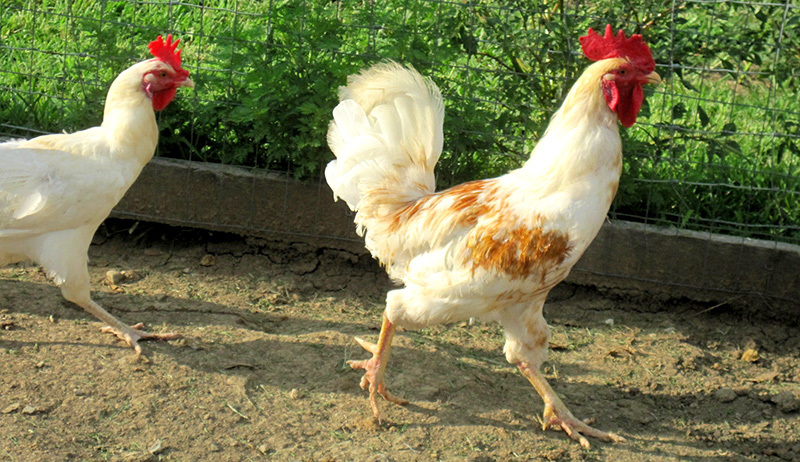 Predators in their own right, chickens eat more than feed rations and backyard vegetation. They also enjoy beetles, ticks, larvae, caterpillars, spiders, worms, small lizards and the occasional mouse. As members of the food chain, chickens are at risk of becoming food for larger land and aerial predators. Neighborhood dogs are the greatest predator risk in a residential area. A hungry dog, or a dog with a high predation drive, can access a coop and destroy an entire flock within minutes. A privacy fence is ideal for full-time free-ranging and for the use of mobile coops because they’re not completely predator-proof. If chainlink or no fencing is available, a flock should be supervised during free-ranging, spending most of its time living in a spacious stationary chicken coop and run. Predators of all stripes live and attack in rural areas, so coops should be large enough for optional full-time living. For free-ranging, protect a vulnerable flock with a trained chicken-friendly dog, mobile fencing and/or human supervision at all times. Foraging is a looking-down activity. Pay attention to your chicks and how they interact with their world as they mature. Notice when they begin to observe objects and animals above them. Do they tilt their heads sideways and look up with one eye? Look closely. There might be a predator you don’t see. Chickens are said to have great vision up close, but lousy vision at a distance. I don’t believe it. Not only can chickens can identify individual chickens of their same breed and recognize the humans who care for them, chickens can even spot aerial predators perched and camouflaged in a neighboring tree well before a human can. When chickens can spot danger and view the world above them, they’re ready for a little more freedom. While they range in the yard, be sure they have access to the coop, other shelters and hiding places for safety. Between ravenous foraging episodes, chickens like to spend time resting underneath things, like shrubs, long grass, outdoor tables and even open structures covered in hardware cloth. They’ll learn to take cover in these comfortable hiding places when they sense danger. Chickens are most happy when they get to fulfill their chicken instincts. 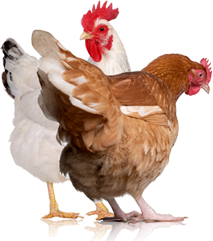 Living a natural chicken lifestyle promotes their best health, greatest longevity and most prolific egg laying. An indoor brooder that grows smaller each day isn’t a natural home for chickens, so once they’re feathered out and no longer dependent on a supplemental heat source, get them outside into the safety of their coop. They’re going to love it.